A lawsuit was filed against Los Angeles Unified on behalf of a 14-year-old girl who alleges she was sexually assaulted by boys on campus and that the school principal told a female companion who sought help that she was too busy to help because she was headed to a meeting. Stacey Anderson, the legal guardian for the unnamed girl, filed the case on May 23 in Los Angeles Superior Court, alleging negligence and violation of the state Education Code. The suit seeks unspecified damages. An LAUSD spokesman said today he would check to see if any comment would be made on behalf of the district. 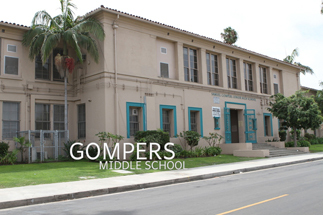 The suit states that the girl, then 13, was walking on campus at Samuel Gompers Middle School in South Los Angeles with two female companions about 2 p.m. April 22, 2014, when a group of boys emerged from a gym, grabbed her by the hair and dragged her into the boys' locker room. “Plaintiff screamed for help ... while she was thereafter sexually assaulted,” according to the lawsuit. An employee of the district heard her screams, but did not immediately come to her aid, the suit alleges. Meanwhile, one of her female companions went for help and met the principal, Stacy Gholar, the suit states. She told Gholar her friend was being sexually abused and pleaded for the principal to help her friend, the suit states. But Gholar replied, “I’m late to a meeting and I don’t have time to help you,” the suit alleges. The girl’s assailants ran when they heard someone’s voice and the plaintiff fled to her classroom “in shock and crying,” where her teacher told her to go to the school office, the suit states. No school employee called for any medical assistance for the girl and she was eventually taken to St. Francis Medical Center in Lynwood by her mother after the woman arrived on campus, the suit states.